The South Devon Herd Book’s show and sale, held in its 125th anniversary year, at Cirencester was judged by Mervyn Rowe from the Tregondale herd, Liskeard, Cornwall. The South Devon Herd Book’s show and sale, held in its 125th anniversary year, at Cirencester was judged by Mervyn Rowe from the Tregondale herd, Liskeard, Cornwall. Male champion was Lumbylaw Horizon, from A. R. Lee, Alnwick, Northumberland. The April 2014-born son of Lumbylaw Halcyon 8 out of Lumbylaw Snowdrop 125 went on to sell for the day’s top price of 6,800gns to J. Archer, North Tudenham, Norfolk. 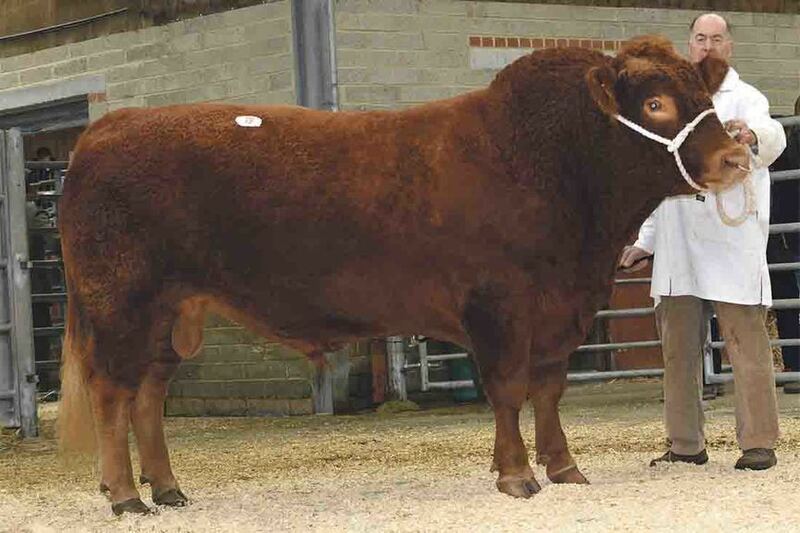 Next at 3,600gns for R. R. B. and S. J. Harvey, Ermington, Devon, was Z Sexton Senator 6 which sold to A. Watkins, Kentchurch, Herefordshire. Enterprise Avanti from D. L. Irving, Thornhill, Dumfries, sold for 3,000gns to R. J. and C. J. Edwards, Tavistock. The champion and reserve females, and also best pair, were from The Tully Partnership, Brixham, Devon. Z Waddeton Ann 157, a polled March 2014-born in-calf heifer by Z Eyton SAS Illya 1 out of Waddeton Ann 69 took the championship and sold for the top female price of 2,400gns to T. Earl, Lerryn, Cornwall. Reserve was Waddeton Norman Countess 143, a June 2014 born in-calf heifer which made 2,300gns to R. Linnell, Daventry, who also paid 1,900gns for Knowhill Melise 57 from A.E.J. and F.J. Claridge, Buckinghamshire. 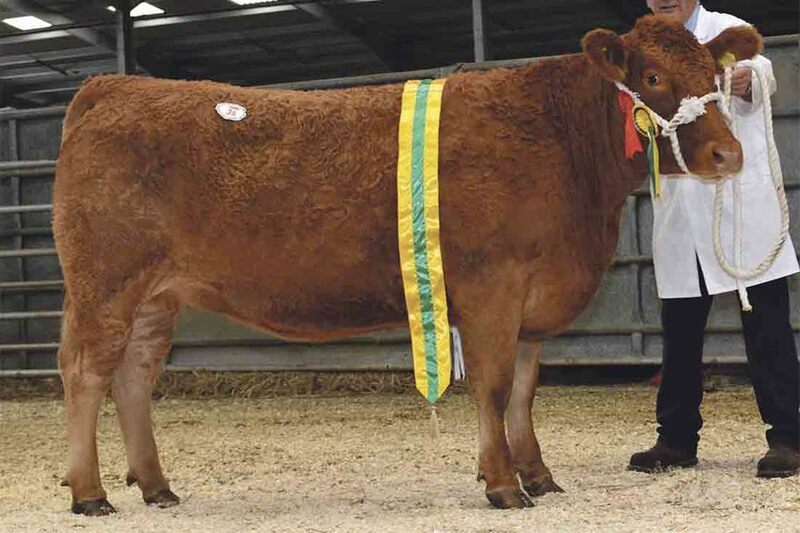 A reduction of the Lumbylaw herd from Mr Lee peaked at 3,400gns for Lumbylaw Kay 63, a 2010-born cow by Welland Valley Hanbury 10, with bull calf which sold to A. McCammond, Templepatrick, Northern Ireland. At 3,150gns was Lumbylaw Belle 25, a 2012-born cow with pedigree heifer calf, selling to Messrs Edwards. Averages - 12 bulls, £3,001; 6 haltered in-calf heifers, £2,012; 3 haltered yearling heifers, £1,785. Lumbylaw reduction sale - 32 cows and calves £2,153; 5 cows, £1,638; 6 in-calf heifers, £1,820. Auctioneers – Kivells with Voyce Pullin.